No travel list is complete without including the best beach resorts in Florida. The number one reason to plan your vacation to Florida is clearly the amazing beaches. Surrounded on water by three sides the sunshine state is home to many of the top beaches in the world. The best part of planning a vacation to Florida is that each beach has something unique to offer. The beaches of the Panhandle and West Florida are home to soft white sand and the warm emerald green waters of the Gulf of Mexico. The beaches of Florida’s east coast offer the larger waves of the Atlantic Ocean, making for exciting surf and seashell hunting. Along the Atlantic Coast you tend to find the more abundant beige beach sand. South Florida is legendary for vacations and may be the most well-known choice for guests. Here you find golden sand to match the glitz of the resorts and cities located in South Florida. Discover the best top 10 beach resorts in Florida below. The luxury and elegance provided at this private island Florida retreat have earned the Little Palm Island Resort & Spa a position as one of the Top Florida Resorts and the 2011 Travel+Leisure title of America's Best Beach Hotel. 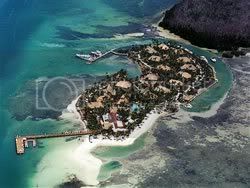 Secluded, romantic, and accessible only by boat or plane, this 6-acre island features all suites. 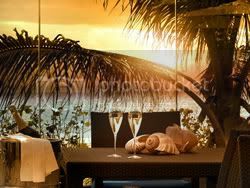 Offering thatched roof bungalows with unobstructed ocean views unmatched by any US resort, you will leave relaxed and full or memories. Little Palm is family friendly but only allows children 16 years or older to ensure a truly relaxing beach vacation. Whether you are looking to disconnect from the world or reconnect with each other, there is nowhere like Florida’s Little Palm Island Resort. This legendary Florida beachfront resort features a highly rated and expertly trained staff, and offers guest everything under the sun. 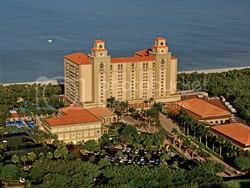 The Breakers Palm Beach is one of the best beach resorts in the entire country, not alone Florida. Fresh off a $15 million beachfront redevelopment, this resort gives you chance to experience a lifestyle generally reserved for the super wealthy clientele of the French Riviera. As one of the Conde Nast Traveler Gold List world's best places to stay, it's easy to see why this location is both one of the top golf resorts and beach resorts in Florida. With rates this reasonable there is no reason not to treat your family to the best of the best. Palm Beach's most famous landmark hotel now features an exclusive beach club, improving an already highly rated and one of the best resorts in South Florida. The Brazilian Court Hotel and Beach Club offers guest the best of both worlds. Although this is one of the only top Florida beach resorts that features an off-site beach, the five minute travel is worth the wait. Rich in both history and architecture, the Brazilian Court is a private retreat that features luxurious accommodations and impeccable service in a discrete location. As a member of The Leading Hotels of the World, it's easy to see why this is often a destination of the rich and famous. Now make it yours. This is the Top 10 Beach Resorts in Florida. So how does a hotel that features an off-site beach club earn a place on our distinguished list. The Seagate Hotel & Spa is a luxury boutique hotel in the heart of Delray Beach that offers the best of both worlds. 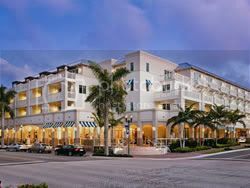 A resort hotel by the ocean paired with the charm of upscale Delray makes for a well round vacation. 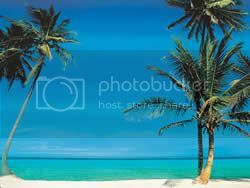 The hotel offers a prime city location and as a guest you recieve exclusive guest privileges at the private Seagate Beach Club, so deciding on a quaint city destination or beach town just got a lot easier.Why not have both! Be sure to reserve your stay online to receive preferred rates. Northwest Florida is home to many wonderful white sand beaches but only home to one AAA Four Diamond rated hotel. WaterColor Inn & Resort is wedged between Destin and Seaside Florida along the beautiful Emerald Coast. This quaint top Florida resort features luxurious beachfront accommodations and harkens back to a simpler time, when life at the beach was slow and enjoyed by the whole family. Turn off you iPhone and computers, and experience the beaches of Florida they way they are meant to be enjoyed. If you are seeking action, there is a great selection of water sports both in the Gulf of Mexico and on the rare inter-coastal lakes. Plan your vacation to WaterColor today. It's only a matter of time before South Beach is mentioned in a list of Top Florida Resorts, and there in no better contender for best beach resort than The Setai. A self proclaimed masterful collaboration of nature and inspiration, The Setai is set amid tropical gardens, multiple sparking pools, and the beach of the Atlantic Ocean. Reserve a day-bed poolside or on the beach and experience full service including towels, water, magazines and iPods while you soak up the sun. Not only will you feel like royalty in the resort hotel, the beach service and actives come together to create a blanket of luxury that will keep you feeling warm long after you return home. Offering dazzling ocean views and 3 miles of pristine beach along Florida's Paradise Coast, this top beach resort is no stranger to top 10 travel lists. The Ritz-Carlton Naples offers an unforgettable retreat in one of the world's most stunning locations. Enjoy impeccable service and resort accommodations as well as first class dining, golf, children's programs, and spa. With European elegance and classic Ritz service, this upscale Florida Beach resort is one you will want to consider for your next luxury vacation. 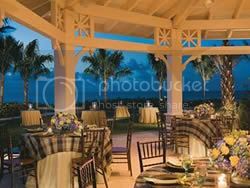 Be sure to pack your golf clubs, this resort gives you access to it's sister property, a top Naples golf resort. Two Ritz-Carltons in one city! 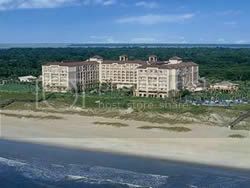 This 300 acre Florida beach resort features access to miles of beautiful Atlantic Ocean Beach. The Ponte Vedra Inn and Club is a Florida landmark resort and has offered upscale accommodations for three generations of guests. 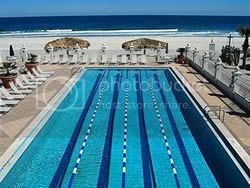 Not only does this premier Florida resort offer 250 rooms, there is golf, tennis, a spa and fitness all on-site. You will also find an adult only pool, a kid pool, and a hot tub for your use. 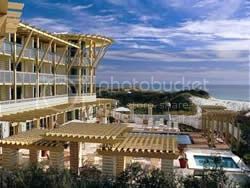 With a vast selection of room types this top resort has something for all budgets making it a great location for upscale value. The Ponte Vedra Inn also ranks high on the top Florida golf list, so make sure you have time for a round or two. The Omphoy is a top Florida resort that offers a refreshing modern alternative to the established Palm Beach Resorts. Featuring refreshing clean and simplistic interiors, fantastic ocean-view dining, and a top-notch spa, this stylish take on the Florida beach resort is something you will want to experience. With 134 guest rooms and suites featuring panoramic views of the beach and Intra-coastal waterways and rates this attractive, the Omphoy Ocean Resort is sure to book fast. 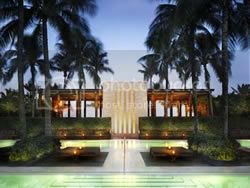 Discover the best of Palm Beach Resorts in a new modern approach that you are sure to love and return to often. A natural playground positioned on a quarter mile of pristine Florida beach, this resort welcomes the young, old, and everyone in between. As a Top Golf Resort in Florida, the Ritz-Carlton Amelia Island has dad covered. Offering weekly resort activities, island adventures, an oceanfront pool, an expansive beach and an award winning children's program, the kids will be entertained for days. But what about mom? Did we mention the Ritz Amelia Island is home to an amazing spa and world class fine dining? Now everyone is ready to vacation at the Ritz-Carlton! Escape to this resort and experience the Florida beach vacation you have been dreaming of. It's the Ritz, what are you waiting for?